If you have been critically injured or lost a member of your family in an automobile accident, a Houston car accident attorney at Terry & Thweatt can assist you immediately to help with your recovery. When someone else’s poor driving behavior was responsible for the accident, they must be held accountable for the injuries and damages you suffered. These damages may include medical bills, mental anguish, and lost wages. Many drivers harmed in car accidents can’t return to work and lose income during rehabilitation. Wrongful death can also occur in the most severe car crashes. Wrongful death is defined as loss of life due to someone else’s negligence. Distracted driving, drunk driving, and failure to follow road signs are all negligent driving practices that can result in wrongful death. Call for help. Before contacting anyone else, dial 9-1-1 to call for help. Even if no injures are immediately present, police should be called to the scene. Get Medical Treatment. Your health is more important that anything – including your car. Bumpers can be fixed and cars can be replaced, but you only get one body. Gather Information. Car accident scenes are rich with information that Terry & Thweatt can process to help your case. Safely gather as much information about the crash, and take photos of the scene. Contact A Houston Car Accident Attorney. Even a minor accident can cause serious complications to your neck, back and internal organs. These injuries might not show up right away. Terry & Thweatt have the knowledge and experience to handle your case and fight for a timely settlement. If you have been injured in an auto accident, you are likely to incur medical expenses for hospitalization, doctor’s bills, prescriptions, surgery and rehabilitation. In addition to the physical recovery, you may be facing lost income from missing work, property damage, and pain and suffering. The complexity of a personal injury case is when a Houston car accident attorney can be of service. Attempting to recover damages on your own can be difficult. Insurance companies know that you need financial recovery, and need it now. They will be quick to settle with a low offer, hoping you take the bait. 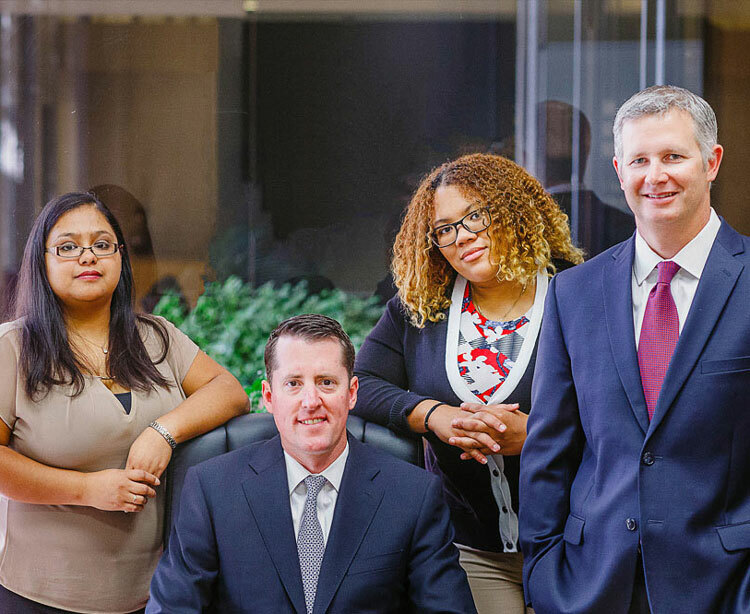 The Houston car accident attorneys at Terry & Thweatt can be your representation against the insurance companies. Contact us today for a free consultation.